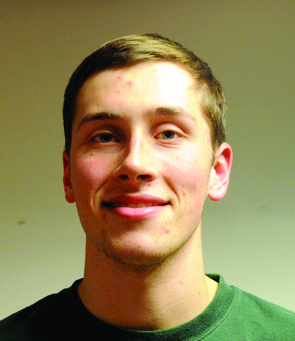 I am a sophomore Economics major with a supplementary major in Italian Studies. I am from Atlanta, GA, and a graduate of Marist school. I am a sports writer, columnist and Assistant Sports Editor for The Observer, a member of the Italian club, a Eucharistic Minister and a participant in the SIBC. 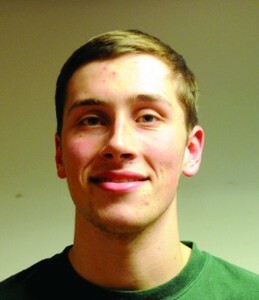 I enjoy playing interhall basketball, soccer and tennis. By studying abroad in Siena, Italy this summer I will have the opportunity to fortify the Italian language skills which I have developed over the past two years and launch into my advanced study of Italian. My classes will bring me into direct contact with the art, architecture and history of Siena and will serve as a strong base from which I will be able to continue my exploration of the city on my own. Since high school, when I studied Latin, in part, so that I might excel in the study of Italian later on, Italian studies have played a part in my education. Now I am pursuing an Italian supplementary major and have taken Italian in each of my first four semesters, including intermediate intensive Italian in the fall of 2011. The program will help me to achieve fluency in the language and prepare me for study abroad in the spring of 2013 at Bologna. Also, the SLA Grant will allow me to gain experience living abroad and studying a language and culture in depth as I hope to pursue further grants and awards to support continued study of Italy. I intend to use the SLA Grant to gain experience in speaking Italian and to develop comfort living in the country and interacting with native Italians. I intend to develop a deeper understanding of the essential aspects of Italian culture and life in Italy through direct contact with people and direct experience of events. The grant is giving me the opportunity to reside with an Italian family, an opportunity that will allow me to form strong connections with my hosts and to comprehend more fully what family life in Italy involves. The program will help me as I advance in my studies, as I intend to return speaking and understanding Italian more proficiently than I currently do. The gained experience in language development and the chance to encounter how an Italian curriculum operates will be invaluable as I prepare to study abroad at the University of Bologna as a junior. I intend to use my experience this summer to guide and inform me as I negotiate the ways in which Italian can be a significant part of my academic pursuits, and ultimately my career goals. At the end of the summer, I will have a complete understanding of the cultural and historical implications of Il Palio, as well as of the processes of preparation and modes of celebration undertaken by the Sienese population. At the end of the summer, I will be able to confidently read Italian books and novels for understanding of meaning and of literary style. At the end of the summer, I will be able to carry out complete conversations in Italian on topics including my travels abroad, the practices of Italian families in the home, the physical layout of Siena and the history behind the most important structures in the city. At the end of the summer, I will be able to write accurately, succinctly and elegantly in Italian. In preparation for my arrival in Siena, I will listen to Italian music and radio online for a half-hour each day in the two weeks leading up to departure. I will also review important grammatical and conversational topics, as well as read books (in both Italian and in English) about the history and culture of Italy. Upon my arrival at the program, I will participate in the extracurricular culture trips and opportunities at the Societa Dante Alighieri, which will allow me to experience on-site lessons and guided tours to local museums, churches and government buildings. These classes will provide me with a base and a direction for the continued exploration of the area. By living with an Italian family, I will fully immerse myself in the language culture of the region. Further, I plan to work with the Societa Dante Alighieri to write a blog on their website. By writing this blog I will be able to practice writing in Italian and work directly with my teachers and administrators on work additional to assigned coursework. I will participate in recreational or intramural sports leagues with native Italians. 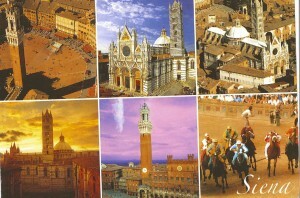 Pre-Arrival: In Siena, I will be staying with a family and taking classes at the Societa Dante Alighieri. I am taking a language course and a culture course. The culture course involves guided tours of the city, lectures about important locations and cooking courses. I am taking five weeks of classes and will remain in the city for a few days after the conclusion of lessons to see Il Palio, a famous horse race that is the city’s greatest tradition. Ciao from Siena! I don’t pretend to be an effective journaler, but we’ll see how this goes. I am less than one week into my 5-week journey, and there is already plenty to talk about. I arrived last Sunday, but not before a whole lot of travelling. I flew into Rome, from there I flew to Florence where I found a bus to Siena. Once I arrived at Siena, with nothing but Mapquest directions to guide me from the bus stop to my house, I had a lot of trouble finding my house. I was ready to explore the city and find my way without excessive planning, but my ignorance turned what should have been a 30-min walk into a 2.5-hour trip. But I did enjoy walking around and seeing the city, and once I bought a map the trek was manageable. There was at least one scene that assuredly would have fit nicely in some travel comedy – I dragged my suitcase up a gravel road (a very steep one) trespassing through someone’s yard I think, but I made it to my final destination no worse for the wear. My hostess, Caterina, is a very nice woman and is a great cook. She is the mother of two older children and a grandmother. Her food is very good, and she of course is very proud of it. She voices her disappointment when my roommate and I offend her by not seeking seconds, but the food is fantastic, just in large quantities. There is another student staying at the house with me, Cristoforo from Svizzera. He is very advanced at speaking Italian (his fifth language) but he studies at Societa Dante Alighieri like me. He is much older than me. How old, I don’t know but I am pretty sure he has a 19-year old daughter, and he is definitely married. He is very kind and helpful, as is Caterina. I like the house, especially the view from the balcony, which provides a wonderful view of the sunset every night. Tramonto is the word for sunset. The house is outside the city (I can take the bus to school, and I bought an abbonamento mensale, which will give me use of the bus all month) but is nearest the Istrice (porcupine) contrada. A high school teacher of mine gave me a bandiera of the Lupa contrada to bring to Siena, but that is now my rival contrada, so Caterina warned me to not wave the Lupa flag through the streets. I enjoy learning about the 17 contrade, and I search for paintings, statues and other markings of each contrada. I is a great sign of tradition in the city. I really like my classes, especially with Claudio as my teacher. He is very smart and funny, and speaks very freely about the problems of Italy. The classes are mainly speaking and reading Italian, with some exercises mixed in. it is very focused on us being able to speak with Italians, and we learn a lot about colloquialisms and how natives actually speak. After classes, I usually find a good panino to eat. I have been walking around the city a lot, just seeing what I can find. I really enjoy siena because most of it feels so authentic. I have already been to the top of the Torre del Mangia at the Piazza del Campo, and the climb was exciting and the view was fantastic. I also explored the museum of the Palazzo Pubblico. The entire building is interesting, but the most noteworthy aspect is the Sala delle Nove, which I studied previously during an Italian renaissance history course last year for the frescoes depicting the Ideal government and the opposing effects of good government and bad government. The frescoes maintain their beauty and historical significance, but above all else I was struck by how damaged thy were, especially the effects of bad government. It is kind of sad that the frescoes could not be better preserved. Another week gone by already, and it also yielded plenty to write about. I continue to ejoy my classes and I have had the chance to spend time with several swiss students outside of the classroom, which is good because they don’t speak English at al here, even though they know how. The other student living in my house is a teacher who speaks 5 (!!!!) languages: German and Romasch (?) and co-quasi-official languages of Switzerland, according to Cristoforo, but he also speaks French, English and Italian. And he is a math teacher, not a language teacher. But it seems like most of the Swiss students speak at least 3 or four languages. This week I played basketball at the public court I found nearby my house. Basketball seems to be pretty big here in Siena, and the professional team, Montepaschi Siena (named for the bank), is playing for the Italian Lega A Championship right now. Anyway, I met some Italians at the court who come from all over Italy (Sicily, Abruzzo, et al) and study medicine at the University of Siena. They were really nice and I enjoyed talking to them, and they invited me over to watch Italy’s opening match of the European Championships (futbol/soccer) tonight, so I am excited about that. One of the days this last week I went to the Pinacoteca and saw the collection of paintings ranging from the 1200’s-1800’s. there were probably at least 50 “Madonna and Child”’s, one of only 6 contemporary portraits of Elizabeth I of England and a famous painting of Virgil leading Dante in the underworld that I especially liked. On Friday I travelled to visit Monterrigioni after class. 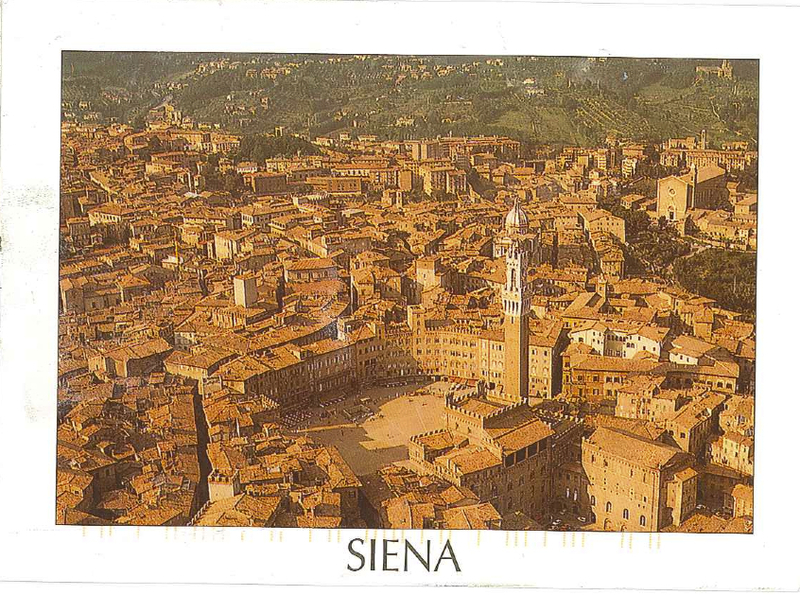 It is very close to Siena – it only took 20 min by bus – and I enjoyed seeing it. It was extremely small, and is today basically an array of homes, restaurants, tourists shops and an old church surrounded by crumbling walls, but it was in the past a site of much contention as one of the outer posts of Firenze. I was able to walk along the walls and the view was great. Yesterday I toured Santa Maria della Scala, which was until 40 years ago the city’s hospital but is not a museum. There is a large supply of amazing frescoes, many of which were neglected because of their status as hospital-room wallpaper, that date back to the 1400s. The church inside the building is magnificent, with its famously-sculpted altar. The building’s symbol is a ladder leading up to a cross, which gives the wonderful image of the city’s abandoned, orphaned, sick and poor retreating into Santa Maria della Scala (=ladder or stair). In one fresco there were several babies climbing up a ladder into the arms of Mary herself. Underneath the building is a massive ancient structure that was only recently uncouvered. I am not sure what it originally was, but I walked around in it and was impressed by its expansiveness. After the museum I played basketball at the packed basketball courts. I am about to go to mass in the enormous Basilica di San Domenico in the city, which houses the head of St. Caterina of Siena. It was quite a busy week, but an enjoyable one to be sure. After classes Monday I walked around the city and stopped in some stores. Tuesday I took another tour of Santa Maria della Scala as the first installment of my culture course. Although the same material was covered as on the first tour, I had a different guide who offered a new perspective and different bits of information. The building has been of great importance throughout Siena’s history and today remains a valuable museum well worth my interest. After the tour I had my first cooking class, which was great. I enjoyed listening to the Italian chef, and with some direction the dishes were not too difficult to prepare. Hidden on the roof of our school building is an outdoor terrace and indoor dining room, both of which are beautiful and offer remarkable views. We ate bruschetta with zucchini, tagliatelle with sugo di pomodoro mixed with fresh pesto, salmon with vegetables and panacotta with mint and strawberries. Wednesday I did some exploring of the city before a fantastic winetasting in a small and very authentic-looking trattoria. Thursday brought a tour of the city’s ancient fonte, which are more like ground-level wells or watering holes that what we would call fountains. Siena is in the unfortunate geographic position of having neither lake nor river close by, so for centuries the city’s inhabitants devoted resources to searching for a nonexistent underwater river that legend had suggested. Eventually, the bottini were constructed under the earth. The bottini are a nearly one-of-a-kind underground aqueduct system that bring water to the fountains in the city, and have for years. Unfortunately, a tour of the bottini requires special permission and a 2-months notice, so I can only see the above-ground parts of the ancient waterways. Thursday night was the second cooking class, in which we made an asparagus frittata, spinach and ricotta ravioli in sage butter, pollo cacciatore and a chocolate dessert similar to panna cotta. Great again. Italy has tied both of its games in the euro championships thus far and must win on Monday against Ireland to have a chance to advance past the group stage. I watched Italy’s opening game against spain with several native Italians who study medicine at the University of Siena. It was great fun, and we grilled salsicce and bistecca, along with bruschetta, for dinner. They are funny and nice and I hope to see them again. I am headed to Assissi for the weekend and am really looking forward to it. I can’t believe this is my last week in Siena! It will be sad to leave, but still plenty to look forward to before the end. This past weekend I went to Firenze, Cortona, Chiusi, Pienza, San Quirico d’Orcia and Montalcino. Florence is the only city in which I spent a really significant amount of time, but they were all fantastic and I got to see plenty of gorgeous Tuscan countryside. The city is starting to prepare for Il Palio. The stands and railings are up in the Piazza del Campo and the dirt for the track went down this morning. The race course is not sand like I had thought it would be, but is instead the grinded dust of a stone called “il tufo.” I cannot wait for the day of the race to draw nearer; I am really looking forward to the event. Tomorrow, I need to finalize plans to eat with one of the participating contrade. I would love to eat with a large group of people in anticipation of the race, meet more locals and experience an authentic festive meal. It is my last night in Italy, which is a very sad prospect. I am excited to return home, but I am leaving a lot behind here. Il Palio was absolutely fantastic. It was everything I could have imagined and then some as it turned out to be definitively one of the fondest memories I will hold of my time in Italy. My friends and I entered the Piazza del Camp 4 hours before the scheduled start of the race, so from 3-7 we sat in the Piazza as it got progressively more crowded. It was a very hot day and waiting under the sun was difficult, but mercifully there was shade from a group of clouds for about an hour all together. It was worth the wait, though, because we ended up in basically the second row from the railings, just an arm’s length from the course. Before the race, a massive parade of horses, riders and others dressed in traditional garb began filing into the Piazza. The procession took over an hour in the Piazza, which could not be more than ¼ of a mile around, so there were a lot of participants. While the procession went around the track, spectators who had been following the parade poured into the Piazza’s center. There were thousands of spectators, and we were really jammed in with no extra space. Immediately before the race, the tension was palpable as a shush came over the crowd so that we could hear the order of the horses in the race. The inside positions are most valued, so for contrade who failed to hear their name called, the groan grew louder with each passing position. There was a false start and one of the horses fell over the starting wire. I think it began to bleed but was not seriously injured and stayed in the race. Once the horses were lined up again and after much jockeying at the start, the race began. The expectation and delay before the race is indescribable. A horde of spectators, most of them intimately invested in the race’s outcome, wait impatiently for a few horses to line up in order, packed in side by side with no dividers or stalls. The entire race lasted only a minute or two, but it was spectacular. One horse fell but there was no serious injury. The Onda (wave) contrada won the race. I saw tears of nervousness before the race, tears of disappointment after the race and a lot of tears of joy from members of the winning contrada. It was a great way to conclude my time in Siena. I am now in Rome, from where tomorrow I will fly home. Obviously, Rome is fantastic, but it is so big and intimidating that I always regret not being able to see more. I can never seem to get a grip on the city. I loved being in Siena, because it was small enough that I could walk through the city and really get some sense of ownership or control of the streets. 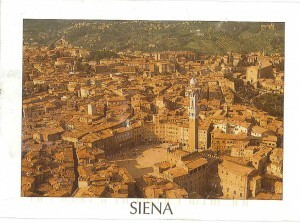 I know Siena, but I do not know Rome at all after three visits to the Eternal City. Still, the past two days in Rome have been great. I saw the Pantheon from the outside and it is one of my favorite structures I have ever seen. I walked through Piazza Navona, entered the Colosseum and walked around the Palatine Hill and Forum. Tonight I went to my relative’s house for dinner. They live in a town called Zagarolo, which is not far form Rome. By train, it took maybe 30 minutes to arrive. My dad’s cousin Anna lives in Zagarolo with her husband Gaetano, who works in the travertine business, and their kids Eva and Simone. Eva attends la Sapienza university in Rome and Simone is in high school. They are all very nice and were very impressed that I could speak Italian, because when I saw them two years ago I could not speak at all. It was nice of them to invite me for dinner and I am glad I got to go. Thankfully, I already have plans to return to Italy in January. I will study abroad at the University of Bologna for the spring semester and am already looking forward to meeting more Italians and seeing more of the country I love. My language skills improved dramatically. I am very happy with the progress I made and know that I am ready to continue to practice and improve in anticipation of a full semester abroad in a University setting. My speaking skills benefited the most and I feel much more confident in conversation than I did before the trip. My listening skills also improved significantly. My writing skills improved by a lesser degree than my speaking and listening skills, but progress nonetheless. 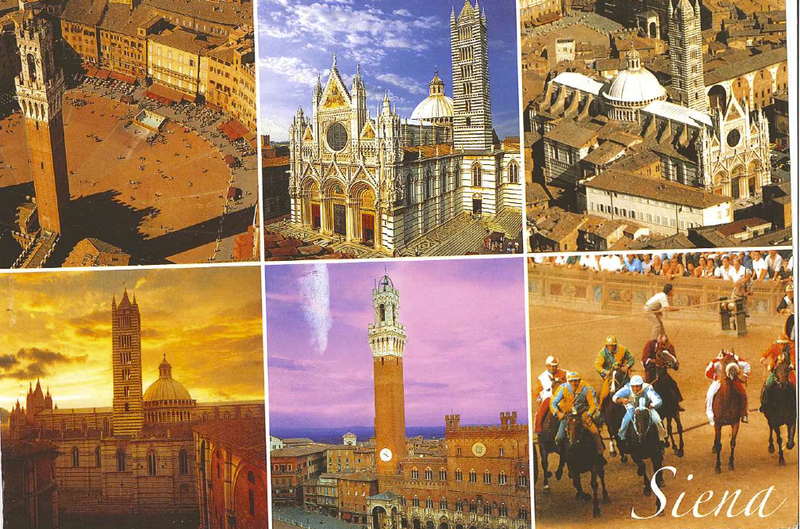 I learned a lot about the City of Siena, which has a very strong history and culture. I learned about Italians – how they live, how they speak, what they think, etc. I definitely gathered a sense of disappointment in their country from several adults, but also sensed hopefulness from the Italian students I met. My summer language abroad experience overall was fantastic. It was just what I hoped what it would be and was just what I needed. My Italian has improved, I had the chance to spend time with family, I was able to travel and explore Tuscany and Umbria, I formed connections with students from Italy and from abroad and became close with my professors. I got to eat a lot of delicious food and even learned how to cook some of it. I saw wonderful museums, great views, bustling cities, quiet side streets, cultural traditions and more. The SLA experience was one of the best of my life and is one that I will cherish for years to come. I will continue to study Italian as I pursue a supplementary major in Italian. I will study abroad in Bologna in the spring, where I will aim to further hone my language skills and come to know the Italian culture and way of life even more. I am excited about the study of Italian and can’t wait for more.